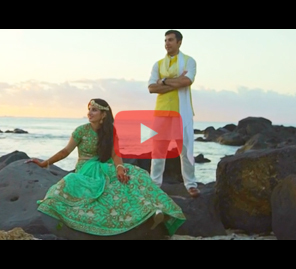 This poignant wedding video captures the second innings of Deepal and Nishant in beautiful, candid frames. 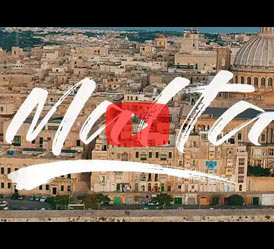 Partying, dancing, thumping music, and smiling guests typically form the opening frames of many wedding videos. However, Deepal and Nishant’s wedding film by WeddingSutra Favourite House On the Clouds is laced with honesty and poignancy. This is deepened when it is revealed that it is the second marriage for both of them. The opening frames of the video show the couple sitting close together on a sofa with no one else around. There is a sense of a gentle intrusion into their personal space as Deepal quietly sits with her head on Nishant’s shoulders. There are no words exchanged at that moment, and perhaps, none is needed. The bookshelf, the soundtrack of the old Bollywood hit ‘Suhani Raat Dhal Chuki…,’ the comfortable sofa and air of anticipation are enough. The video team’s interview with Deepal captures her myriad emotions - from being teary at the thought of how he loves his kids to her ‘idealistic’ marriage, she shares her account with honesty and courage. Nishant shares that he and his son are currently not on speaking terms. 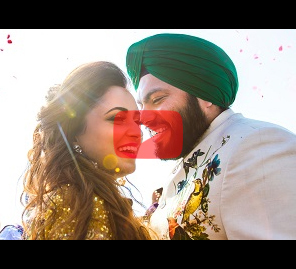 It is these rare moments of candor from both Deepal and Nishant that makes this wedding video feel more like a cinema verite documentary instead of a typical wedding film. We also get glimpses of their pheras, performances by relatives and elders giving their blessings. Nishant’s daughter gives her wish for a happy married life to the couple. The film ends with a smiling Deepal saying that she has finally found contentment.